During her recollection of past interviews with high profile guests, Oprah recalled a conversation she had with John F. Kennedy Jr. in 1996 in which she shared with him her journalistic goal of landing an interview with his late mother, Jacqueline Kennedy Onassis. Oprah told the young Kennedy that she was glad that she never got the interview and also glad that Mrs. Kennedy Onassis never gave an interview to anyone. Well it looks like Oprah was wrong. In 1964 the recently widowed Mrs. Kennedy gave a series of interviews to former Kennedy aide and historian, Arthur M. Schlesinger Jr. The interviews are being published as a book and audio recording. The usually soft spoken passive Mrs. Kennedy had a few choice words and candidly admits her true feelings about several people she encountered during her late husband's presidency. 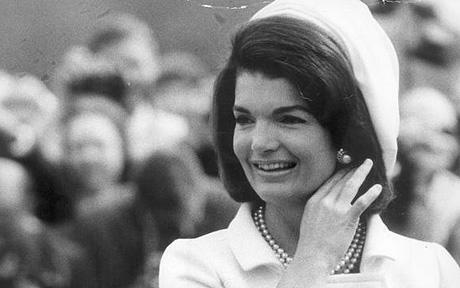 Long, a symbol and icon of American history, Jacqueline Kennedy Onassis is remembered by many for her grace, glamour and style. She led the country through those four tumultuous days in November 1962. Her image was somewhat squeaky clean and many think of her as a heroine opposite her husband, who was known for his adulterous behavior. That image is about to come to an end, for Mrs. Kennedy may not have been the nice all-american woman we thought her to be. In a seven-part interview, Mrs. Kennedy name drops French President Charles DeGaulle, future Prime Minister of India Indira Gandhi, former White House Social Secretary Letitia Baldrige, President Lyndon B. Johnson, former Congresswoman Clare Booth Luce, sister-in-law of South Cietnam President Madame Nhu and Rev. Dr. Martin Luther King Jr. The Rev. 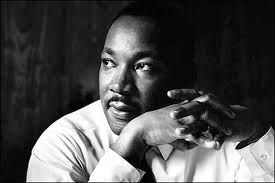 Dr. Martin Luther King Jr. is “a phony” whom electronic eavesdropping has found arranging encounters with women. Any shortcomings on the part of her husband are not mentioned. She speaks of his loyalty, sensitivity, courage — traits consistent with the Camelot template she had been the first to invoke. She presents herself as adoring, eager for his approval and deeply moved by the man. There is no talk of his extramarital affairs or secret struggle with Addison’s disease, though she does speak in detail about his back pain and the 1954 back surgery that almost killed him. 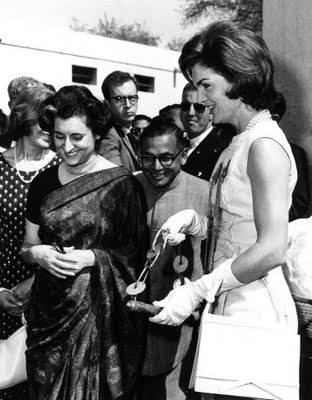 I find it interesting that Mrs. Kennedy had so much negativity to spread about the various people whom she was privileged enough to meet and interact with. Most of these people were fighting against a system long in place to hold people back and doing their best to leave a positive mark on society. I particularly find it interesting that Mrs. Kennedy would refer to Rev. Dr. Martin Luther King Jr. as a phony based on a hearsay myth, which to my knowledge has never been proven true. 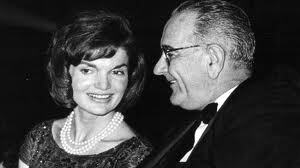 Even if it were true that Dr. King engaged in extra-marital affairs and was indeed caught on those FBI tapes, who is Jacqueline Kennedy to be judging his character based on this and who is she to talk? President Kennedy publicly humiliated her on numerous occasions with his extra-martial affairs, which have been proven and well documented. Out of respect for the President, I won't post the 1962 video of Marilyn Monroe serenading the President at Madison Square Garden at his 50th Birthday celebration in a very sultry manner. It will be interesting to see if the release of this book and audio recording will have any backlash on Mrs. Kennedy Onassis image. My guess is, it won't. Did Jacqueline Kennedy's comments about MLK have merits? Will these interviews tarnish Mrs. Kennedy's image? Are you surprised by these comments or that they have surfaced and are being published? Labels: Civil Rights, Kennedy's, President Johnson, Rev.Dr. Martin Luther King Jr.